Let’s get crafty and go to the circus with a spoonfull of stars–we can skip the $15 balloons. Hey y’all! 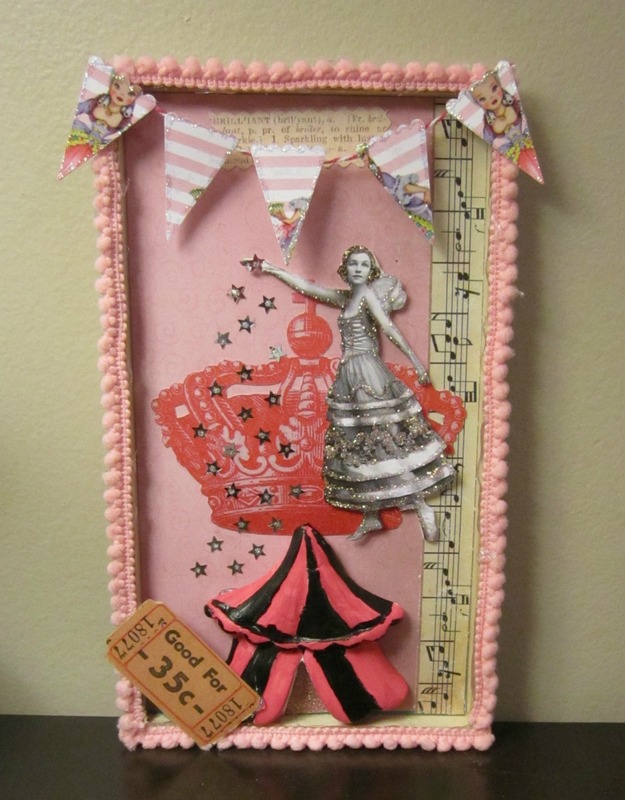 Today I’m tickled to show you a wood plaque turned into a marvelous circus as a project for the Lisa Kettell Designs Design Team. Get crafty, grab a spoonfull of stars and let’s go to a circus where there’s no crying children or $15 balloons. The first thing I did was to cut a piece of Lisa’s scrapbook paper to use as the background. 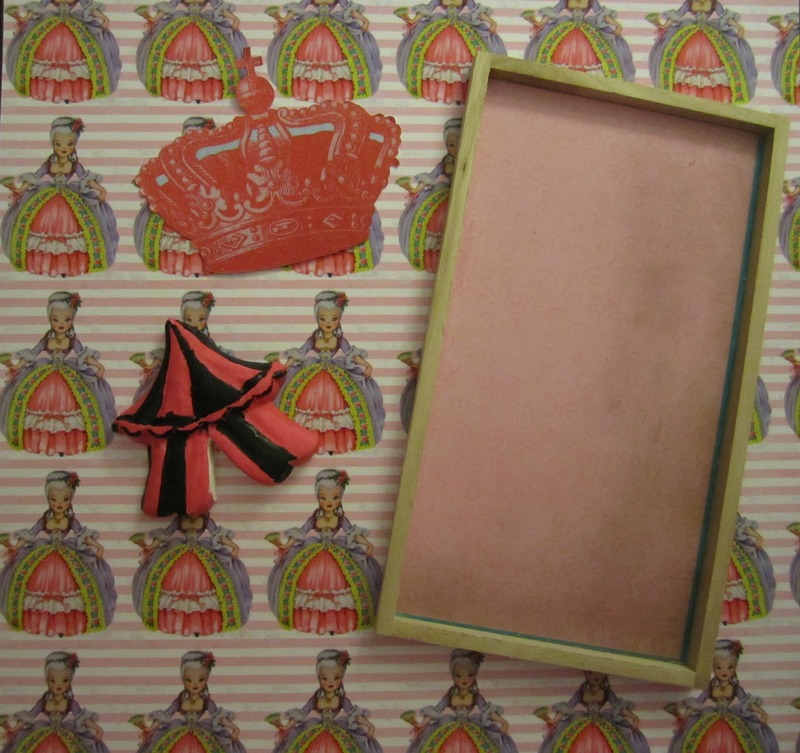 I cut a crown from another sheet of Lisa paper and painted the Sweet Shoppe Carnival. Sadly, while I can paint many things a straight-ish line is not one of them. Ditto for cutting a straight line; paper trimmers are my friend. I glued a piece of glitter paper to the back of the carnival after using a knife to cut out the “door” area, I wanted it to open to something full of sparkles. 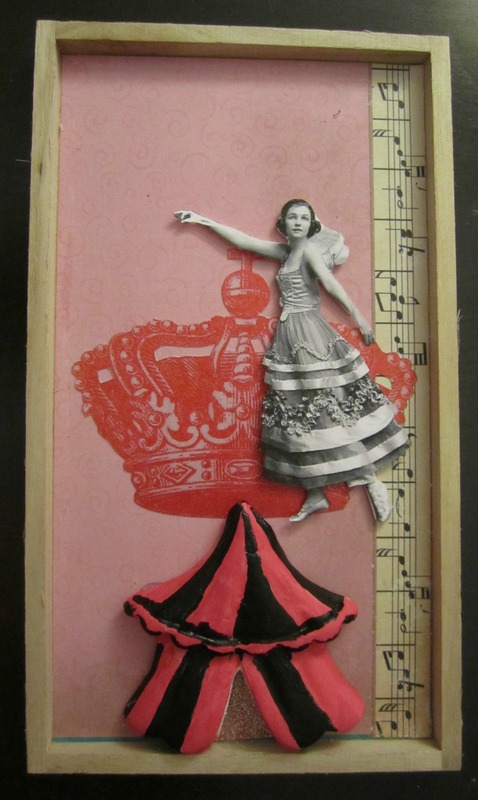 I glued music down the side, glued in the crown and glued down the carnival. I chose the word brilliant from a page of dictionary scrapbook paper, pinked the edges and glued it along the top. The fairy came from Fairytale Follies CD. I carefully cut her out and used adhesive foam to give her a little dimension and then traced her with the Diamond Stickles. She has silver stars dripping from her hands; they were attached via glue stick and given a little extra sparkle with the Diamond Stickles. Using my hot glue gun, I bordered the box with the pink pom poms and added the ticket. Using my banner punch, I cut out 5 pieces from another sheet of Lisa’s and attached it to the bakers twine with my glue gun. A dot in each corner holds the banner in place and allows it to hang freely. Because I don’t think you can EVER have too many sparkles, I traced each banner piece in the Diamond Stickles. I recently read “The Night Circus” and between that and Lisa’s magical creations, found myself very inspired. If you haven’t read the book, pick it up! Also, Lisa has added some NEW collage CDs to her Artfire store and has some very affordable options. I picked up the Halloween one and am eyeing the Circus one and the Vintage Storybook and Ephemera Disc. 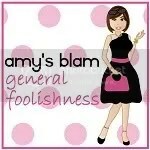 Enter your email address to subscribe to this blog and receive all my latest foolishness and (mis)adventures by email. © Amy Lloyd Mayfield and Amy's Blam, 2009-2012. Unauthorized use and/or duplication of this material without express and written permission from this blog’s author and/or owner is strictly prohibited. Excerpts and links may be used, provided that full and clear credit is given to Amy Lloyd Mayfield and Amy's Blam with appropriate and specific direction to the original content.